Shall we start with the before photo? New ektorp sectional from Ikea with the svanby beige linen slipcover. Love it and we have already had one ketchup incident that was easily removed with a little resolve! I had this oar on the wall before, hung it up exactly where it was. This basket was a flea market find from a ways back, and I already had the lamps. I love fresh flowers and especially lilies because of the scent of them! Our temp. 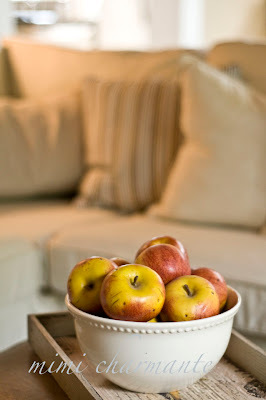 coffee table is this leather Pottery Barn ottoman. It actually works for now so it might stay! Here is the matching Pottery Barn chair. They were both craigslist finds, or scores I should say! Super comfy, love them and they make my husband happy! I already had the round white table, it is from TJ Maxx. I got this old suitcase at the flea market I went to a little while ago. with vintage metal locker baskets and old sap buckets. They now hold kids' dvd's, remotes, etc. 2 coats of Kilz primer and 1 coat of paint, and one arm with more muscle in it than the other! An overall shot of the room looking into the adjoining dining room and kitchen. My handy hubby built these columns that flank either side of the opening going into the kitchen. I painted them out, as well as all the window trim with a white from Ben Moore in a "soft glow"
The pictures on the wall are in frames I made out of vintage chippy wood. The couch is piled high with pillows, mostly cream to match the couch, one is a ticking stripe and one is a burlap feed sack pillow I bought from The Barn House Boys at the Farm Chicks flea market! I opted to leave the ceiling wood. It was a win win situation for my husband and I and I am happy I did. It's still cozy and not too "shabby"
We just hung the Veranda chandelier last night so sorry to say it wasn't in these pictures! We took down Mr. Deer head and replaced it with a 47" flat screen flanked by topiaries. The same pictures I had on the wall before (only another wall) now are hung on either side of the fireplace. They are black and white pictures from Crystal Lake in the 40's. This table was another one of my finds at the flea market a few weeks ago. It's a whopping 7' long! The legs were too short so I removed them and added 4'x4's painted out Ralph Lauren roadster white. Now it's the perfect height! I love the rustic planked top! Here is a shot from our kitchen and shows the detail of the columns. LOVE IT...Man, you did a great job. I love the sofa. I can't believe it is Ikea!!! I loved the room before, but now it is just exceptionally gorgeous!!!!!!! Love your transformation! It is just so cozy and bright and beautiful. I am in the market for a sectional and am thinking of the exact one you have. The ketchup really came out with just resolve? That is good to hear. I have three kids and a dog ... What made you choose that versus the PB slipped sectional? Besides the price ... :) Great job. I love reading your blog. Melaine, did you hear the huge gasp? That was me when I saw your room. You are have so much design talent. This room is truly magazine worthy, especially before and after shots. As always, an incrediblly designed room. I LOVE it, it was well worth the wait. I love how it is light without being white. It looks so kid friendly that way. 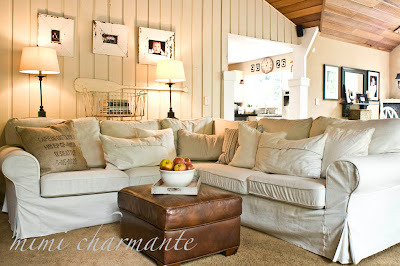 I want to snuggle up on that couch with a cup of coffee and British Country Homes! Melaine, I LOVE IT!!!! You did such a wonderful job....love all the pillows on the couch, so cozy!!! it's gorgeous, simply gorgeous! how did you do it so fast?!?! What a wonderful change , all gorgeous , love love it . It looks like a new, completely different house! So light and bright. I am super jealous. I bet you just sit there and stare at it's awesomeness. Great job -- and compliment your hubs, too!!! my jaw just hit the floor! amazing! so glad for you that your hubby agreed to paint the paneling. looks great! I've just witnessed a total slice of heaven. Melaine, this is mouthwatering gorgeous indeed. Beautiful job! 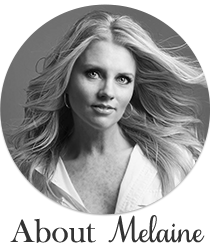 Melaine, it turned out awesome - do you love it? More importantly, how does hubby feel??? Great job, I am totally considering that sectional for our basement - let me know how you are liking it. you know, when i first saw your earlier post - i thought "BUT i really LOVE it the way it is" but.oh.my.gosh. THIS is GORGEOUS. I love it. It's still so warm and i love that you kept the ceiling natural. It's great. It looks like a home in a magazine. The walls came out beautiful and I love the couches. Did you say you found the couches on craisglist, or did I read wrong? Love it, you must be so happy! The whole room is so crisp and cozy. The colors are perfect and all the different layers are such a wonderful addition to the room. love love love it! wow you have a good thinking eye!! beautiful!!! great job! This is FANTASTIC!!!! SO worth the wait!! enjoy! it is beautiful!!!! I LOVE it!!! I'm sure this is a silly question, but can I ask how you hid the cords and plugs to your tv? Can an electrician add a plug to an existing fireplace-I thought this had to be done during construction? Thanks and I LOVE the makeover! Wowwwwww!!! What a transformation! It looks great! Fantastic job, thanks for the inspiration!!! LOVE IT!! I got giddy with excitement when I read that we would finally see the end results. Love your blog and have been following for awhile but first time to comment! Love all you do! Beautiful transformation! I also would like to know how you mounted your TV. I have a huge stone fireplace like yours, and have been afraid to try this. How beautiful! I have been looking for a color to paint my wood panaling. I love yours. And the sofa! Don't you just love slipcovers? They are the best. You did a great job and it's you because of all the great deals. Not picked out at a show room-never! I was at the Farm Chick Show. I will be there next year. And Chaps also. Love it! Your quick, it would have taken me months. Beautiful! You did a wonderful job!! It looks amazing!! Everything looks just fan-tab-u-lous! Your taste is exquisite and I wanna come visit! LOVE IT! I love that you kept the wood on the ceiling too. Very cool! Beautiful! Just the right mix of dark and light to show contrast. 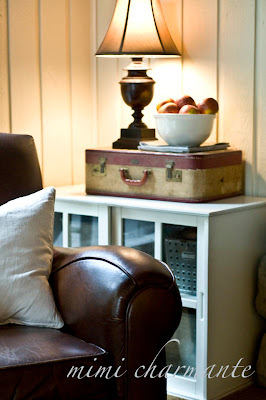 I love that the chair and ottoman are darker...just enough extra punch to take it to the top! Love it! Tami E.
Oh Melaine, it is perfect! I am so glad you left the wood and didn't sheetrock that makes it all the more special! Your blog is special, thanks for sharing, I look forward to it everyday. OH WOW!! I want to LIVE there!! NOW :) Kim took gorgeous photos! Absolutely specTACular! One of the best transformations I've seen in a long time! I love every detail! Loving the contrast between the ceiling and the walls. Keeping that ceiling was so smart. Great job on all of it!! A-M-A-Z-I-N-G! It looks so fresh and cozy! 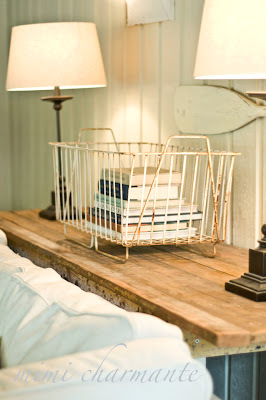 Love the wire basket! You (and your hubby) did a beautiful job! Very fine job!!! Completely magazine worthy. I want some of your Halloween lie the one with the owl. I'll go convo you through the Etsy shop. Fantastic! WOW love the whole room, the detail is amazing! I loved the room before, and the transformation is unbelievable. 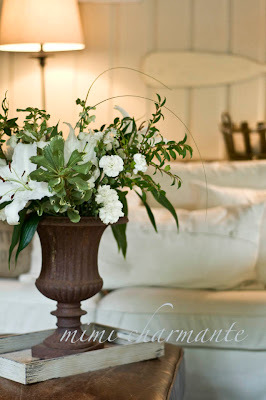 All the elements I love, natural wood, painted wood, whites, creams, leather seating, stones, slipcovers... and those gorgeous pillows. Oh,Melaine,it looks wonderful. Can almost hear the room itself going "awwww"!! Love your sofa. You have a gifted decorating touch. Melanie it looks great! I love the room...it is just perfect! WOW! I would copy your house room by room if I could. I love the couch!!! Your blog gives me such wonderful inspiration! Fantastic job, an incredible transformation. Love, love, love your new living room. By the way how did you do the old wood frames? You blow me away!! This is incredible!! Do you travel to do design consultations? I really need your help! !Seriously fantastic job!! Wow! I can't believe how much better this looks!!! I love the cream color with the brown. 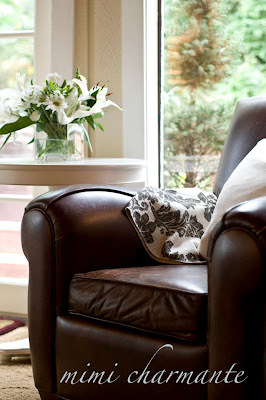 Love your new sofa with all the comfy pillows and the addition of the chocolate leather chair and ottoman. I think you should keep the ottoman as your coffee table. It's perfect. I think this room flows better now with the rest of your house. Not too feminine and not too masculine. This is magazine worthy! Great job!! Beautiful transformation! It's amazing how paint can totally change the atmosphere of a room! Nice job! I would love to know how you like your couch! I am thinking of getting the same one for our bonus room that we are finishing. Your room is beautiful! I love everything about it. It looks awesome!! I bet it was a TON of work!! WOW! You did a wonderful job! So beautiful! Just found your blog! I'm putting your button on my scroll list A-SAP! I'm having a birthday giveaway today! Hurry over! GORGEOUS! AMAZING! INSPIRING! Just lovely and you must never that room as it is so cozy and beautiful! 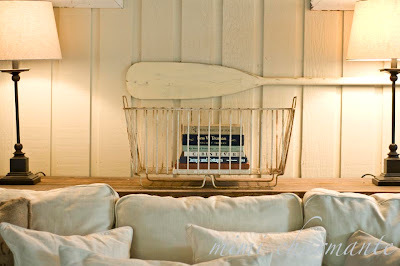 Can you say, "Lake House Chic"? It is warm and inviting...you can totally see the whole family on the couch watching a movie or just Daddy napping or Mama reading or blogging! 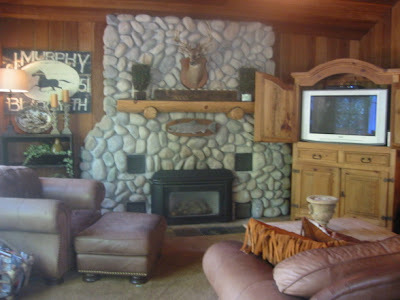 I totally agree with leaving the ceiling natural wood...that's what gives all the creamy whites warmth and makes it feel like a weekend home...plus it balances the weight of the stone fireplace...absolutely perfect and waiting for a fire and a college game on the flatscreen!! OMG - I cannot believe how amazing it looks. I wish you could help me with my crazy room. and i have to say is w.o.w. did you end up with the ikea sofa?? WOW! It's fabulous! I really like the brown accents (ceiling, chair, ottoman)throuhtout the room. Wow this room is gorgeous. Very cosy and inviting. You did such a good job of making it very simple and stylish whilst not making it too girly - my husband would love the fireplace and the ceiling while I love the creams etc. Very inspirational. Amazing! You are definitely a girl with vision and ability. I love the makeover!! Looks fabulous. OH MY GOSH!!!!!! 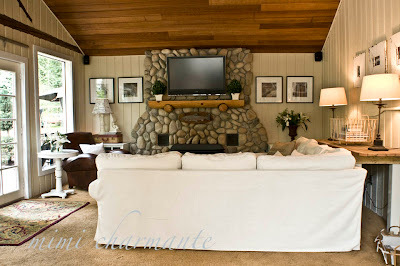 I so love your make over,,, your living room is just beautiful,, I love it all.. great job!!! Melaine, what a beautiful makeover of that room. I love the lighter look so much & you found some real treasures. Love the leather. WONDERFULLY delicious room! I bet you all love it. You did a great job with every little detail, thanks so much for sharing. Wow! I LOVE your living room!!! I also think your family pictures are amazing. Any of them would make an awesome Christmas card. Melanie.... AWESOME JOB!! It looks so fresh and fab! I love the ralph lauren paint colors you chose! GREAT JOB GIRL! It looks so good. It looks like the room belongs in your home now..flows good with your other rooms! Thanks so much for sharing such creative ideas! You are wonderful. I LOVE it! You did a fabulous job!!! The cream walls really warm up the room in a fresh way and I like that you left your wood ceilings their original color. I adore your stone fireplace. It adds so much character to your room. 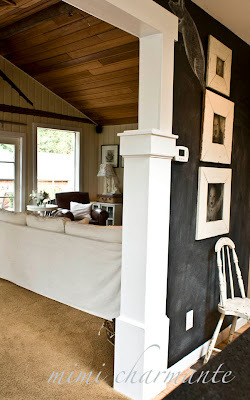 It is such a cozy room that makes me want to curl up on the couch with a book! You did a lovely job. I adore the oatmeal color you chose. What a transformation! Hi. Love, love, love your room. I'm thinking of ordering the Svanby beige furniture. I don't live by an IKEA, and so I can't see the colour. My walls are Benjamin Moore, Classic gray. Is the colour of this furniture more ivory or more brown? I would really appreciate your opinion. How is your ektorp holding up? I'm interested in getting one but want one that lasts... Thanks!